After years of calling for clearer direction in the country’s space program, Minister of Innovation, Science and Economic Development Navdeep Bains unveiled Canada's new space strategy from Edmonton Wednesday afternoon. After years of industry insiders calling for clearer direction in Canada's space program, Science Minister Navdeep Bains has unveiled Canada's new space strategy. The announcement, from the Telus World of Science in Edmonton, in front of children from Grades 1 to 6, is hot on the heels of last week's revelation by Prime Minister Justin Trudeau that Canada will participate in the NASA-led Lunar Gateway program, a space station that will orbit the moon. Construction is slated to begin in 2020. "It took a lot of ambition for Canada to become the experts in robotics in space," Bains told the group of gathered children. "Even though Canada has a great rep in space industry, we're not stopping here." Some of the plans, outlined in the government's new report, Exploration, Imagination, Innovation: A New Space Strategy for Canada, includes funding in the development of lunar science and artificial intelligence, robotics and health, as well as encouraging youth to get involved in space science, starting with a new "junior astronaut campaign" that will have online activities and a contest to get an astronaut to visit a school. "We are going to seize this opportunity that we have now and we're going to do it in Canadian style," said astronaut Jeremy Hansen, who is slated to become the next Canadian in space, after David Saint-Jacques who is currently on the International Space Station. "We're going to pursue excellence and bring a lot of benefit back to Canadians." There has been strong criticism for some time by people in the space industry calling for a more robust and focused space program, particularly with the arrival of other countries on the scene. China has been to the moon twice, including January's landing of Chang'e 4 on the far side of the moon, a first. India sent a spacecraft to Mars called the Mars Orbiter Mission. It plans on sending another in 2022. Israel launched a moon lander, Beresheet atop a SpaceX Falcon 9 that is slated to arrive in April. 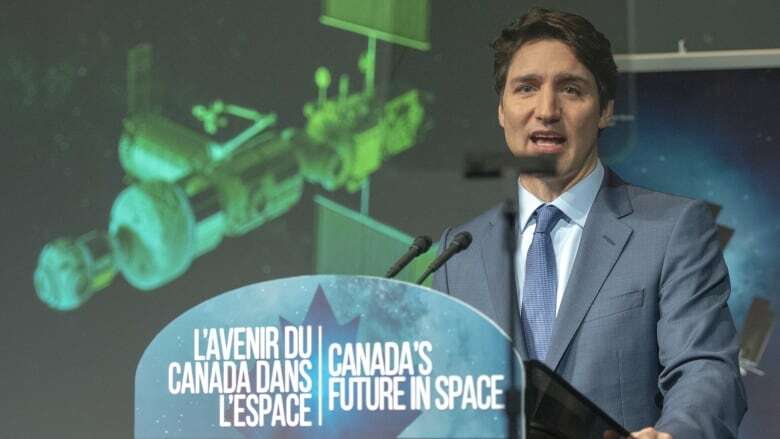 Last week's announcement committed $2.05 billion over 24 years for Canada's space program, and was kicked off with news that Canada will be providing a robotic arm for Lunar Gateway. Despite industry criticism, Canada is highly regarded in the aerospace community. It was the third country, after the U.S. and the former Soviet Union, to launch a satellite into space, Alouette 1 in 1962; the lunar landing legs on the Apollo missions to the moon were made made by Heroux-Devtek in Quebec; the Canadarm built the International Space Station; and there are Canadian-made instruments on Mars, including on the Curiosity rover which continues to roam the Red Planet and OSIRIS-REx, a sample-return mission around the asteroid Bennu. Canada's first true outlook for a Canadian space program was the Chapman Report in 1967, but that was mainly born out of a need for a military strategy in the space age. 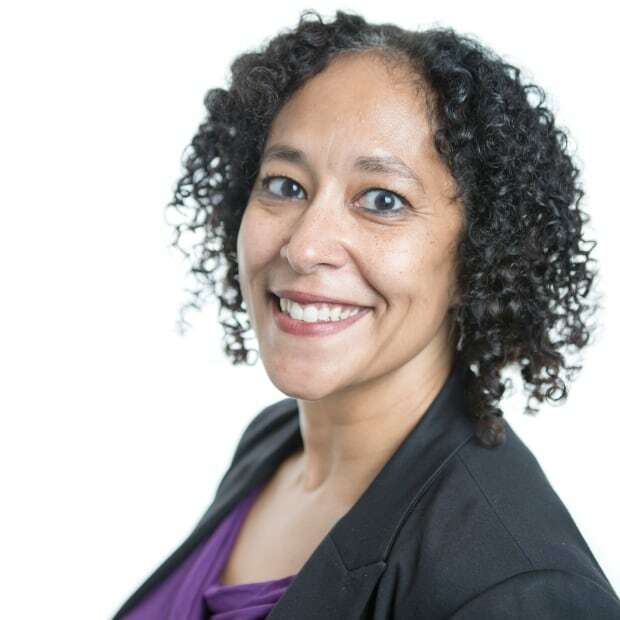 In subsequent years, the country has continued with long-term plans, centred on national security and sovereignty and driven mainly by the Canadian Space Agency. Spending just on the Canadian Space Agency has been rocky over the years, but was forecast to decrease. In 2016, the federal government assembled the Space Advisory Board made up of experts from across the industry including those in space commercialization and atmospheric scientists, as well as those in robotics and engineering. To reverse the decline in the country's space capability before it's too late. To develop "a new space strategy and follow-on space plan that provides the policies, programs and funding essential for the revitalization of Canada's space capacity." To establish a "comprehensive and educational outreach program" for Canadians of all ages. The government says the new strategy is based on this report. 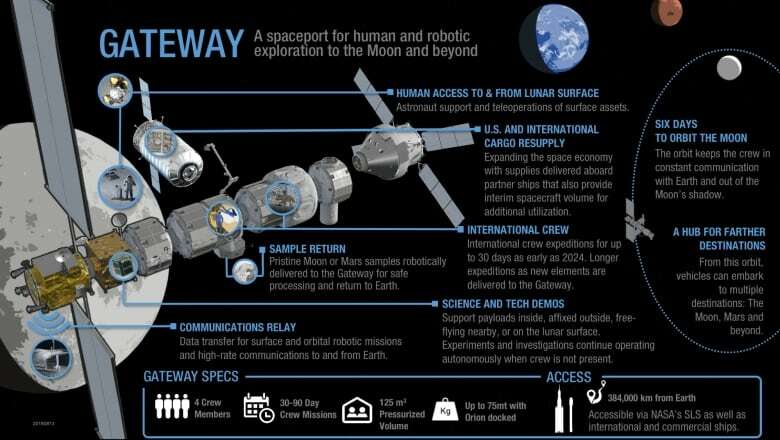 An earlier version of this story said that MDA, who designed the Canadarm, was awarded a contract to provide a robotic arm to the proposed Lunar Gateway. While the company was awarded a contract to design it, it has not yet been selected to build it for the station.